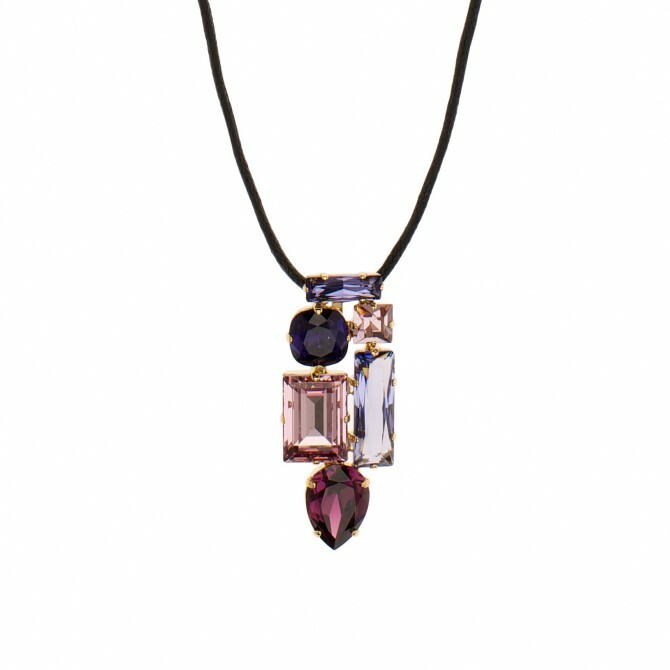 Martine Wester's craze crystal purple pendant necklace is a limited edition. Beautiful assorted sized and purple coloured hues of European crystals. Comprising of Swarovski, Austrian and Czech Crystals. This purple crystal cluster pendant is a maximum length and width of 63mm and 26mm respectively. A leather strap gives adjustable sizing up to 780mm long (wearing length). This beautiful necklace has a very casual yet smart feel. 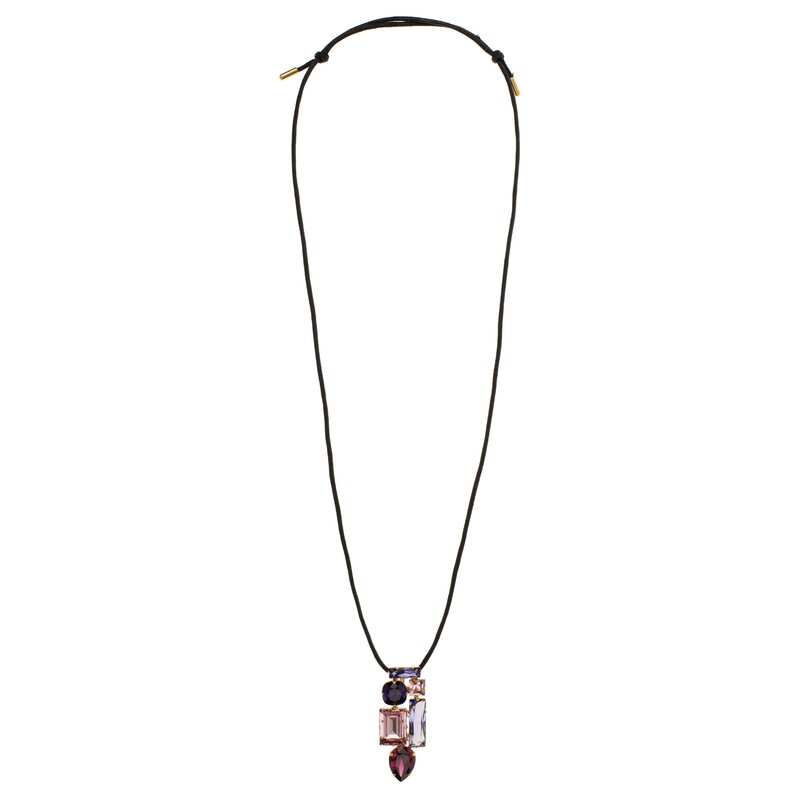 You're reviewing: Martine Wester, Crystal Craze, Purple Pendant Necklace, Limited Edition, European and Austrian Crystals Gold Plated.